Clifden, the largest town in Connemara, is nestled between the Twelve Bens mountain range and the Atlantic Ocean, at the mouth of Clifden Bay. 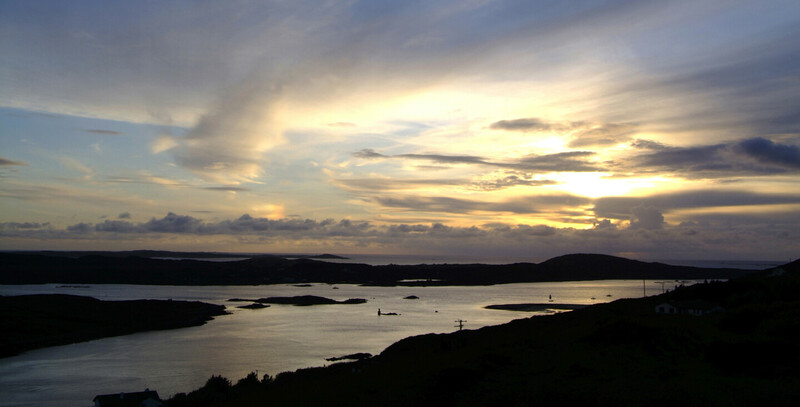 Whilst in Clifden you will experience the world famous panoramic scenery visit some of the renowned attractions such as the Connemara National Park, go day tripping to the islands, go deep sea fishing and see the dolphins. You can take one of the many guided hill walks available in the area, sunbathe on one of the beautiful beaches or swim in the sea. Visiting Clifden - Stay with us at Connemara Coast Hotel and relax in our outdoor hot tub as you watch the colours of the sunset resting in the calm waters of Galway Bay. With the serenity of our location coupled with our spectacular views, coastal walks and rugged landscape we can guarantee you getaway to remember.